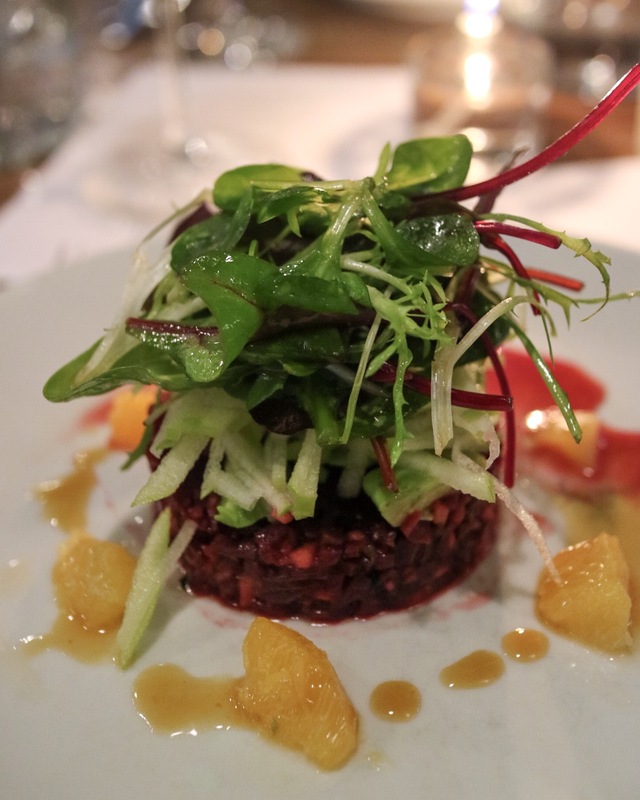 Oh what would Veganuary be without a good ol’ vegan menu in an otherwise non-vegan restaurant? 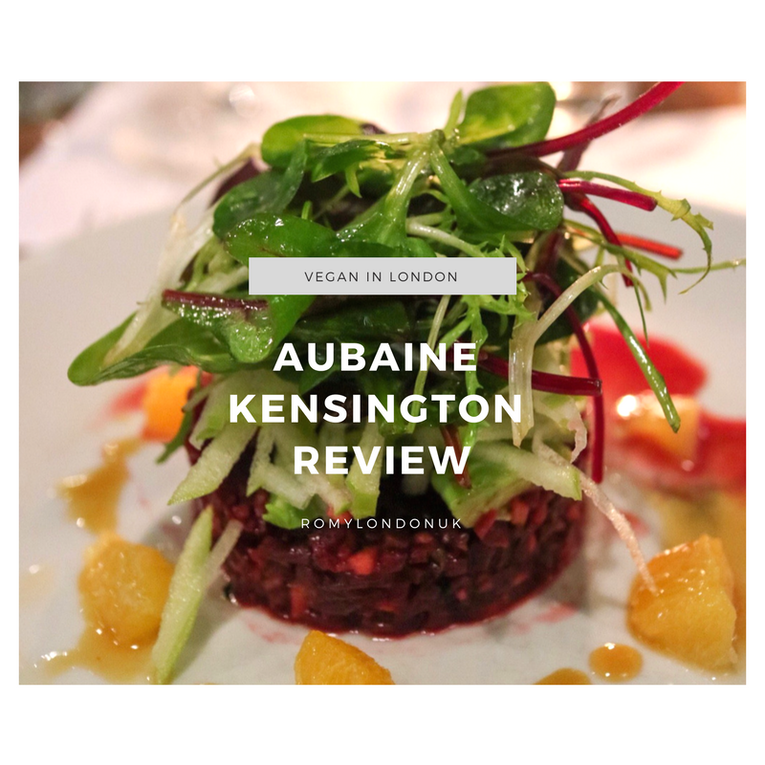 This time Nick and me ventured out to Kensington to try out the new menu at Aubaine that they’ve especially crafted for the month of Veganuary. 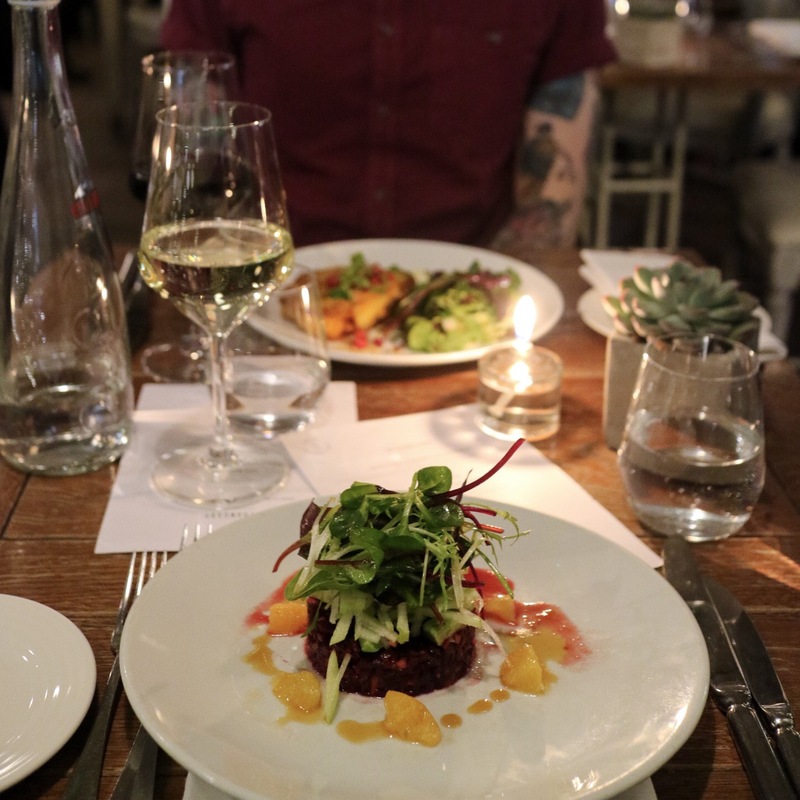 According to their website they define themselves as ‘a taste of modern France with a nod to the traditional’ – and as French cuisine is something both Nick and me are not all too familiar with (especially in vegan version!) we were excited to give it a go! 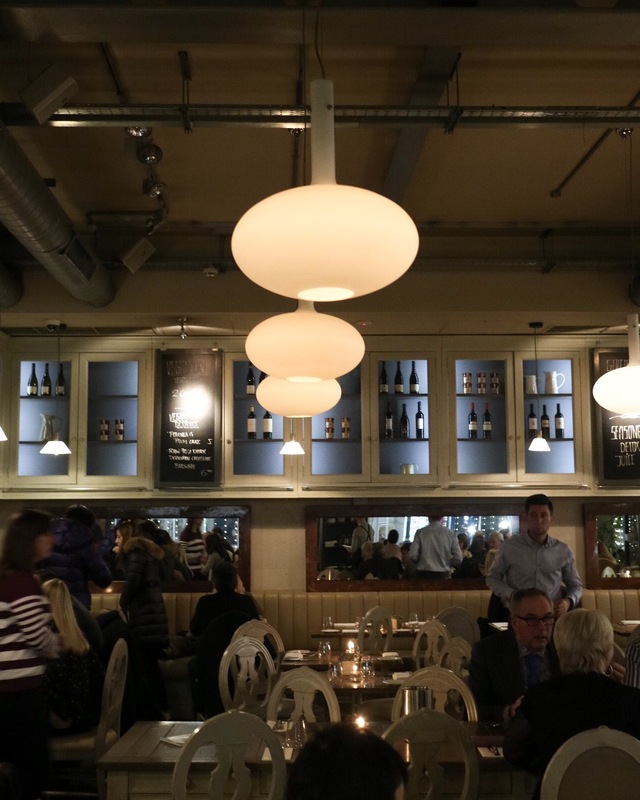 Aubaine operates on a set menu basis and for their Veganuary special they are offering a choice of 2 vegan starters, 3 mains and 2 desserts, with 2 course set prices starting from just £12.50. So what’s the verdict? 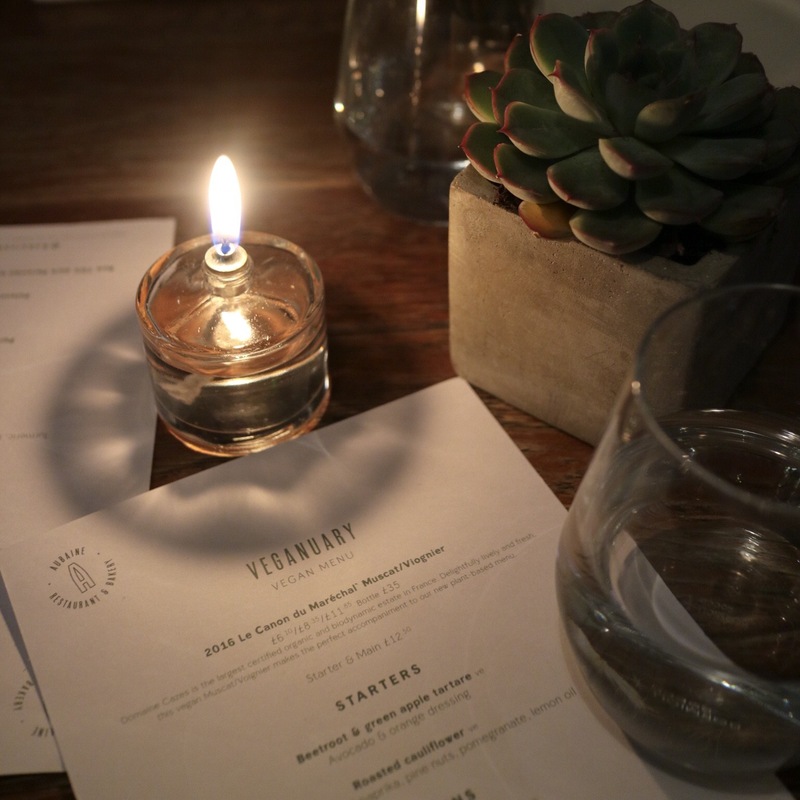 Well have a look at our favourite dishes from the night below! Oh what a great tasting flavour combination! The beetroot tasted absolutely well seasoned and was just fabulous in combination with the green apple. The absolute highlight were the orange pieces however, that just perfectly rounded up this dish. Can definitely recommend this starter! 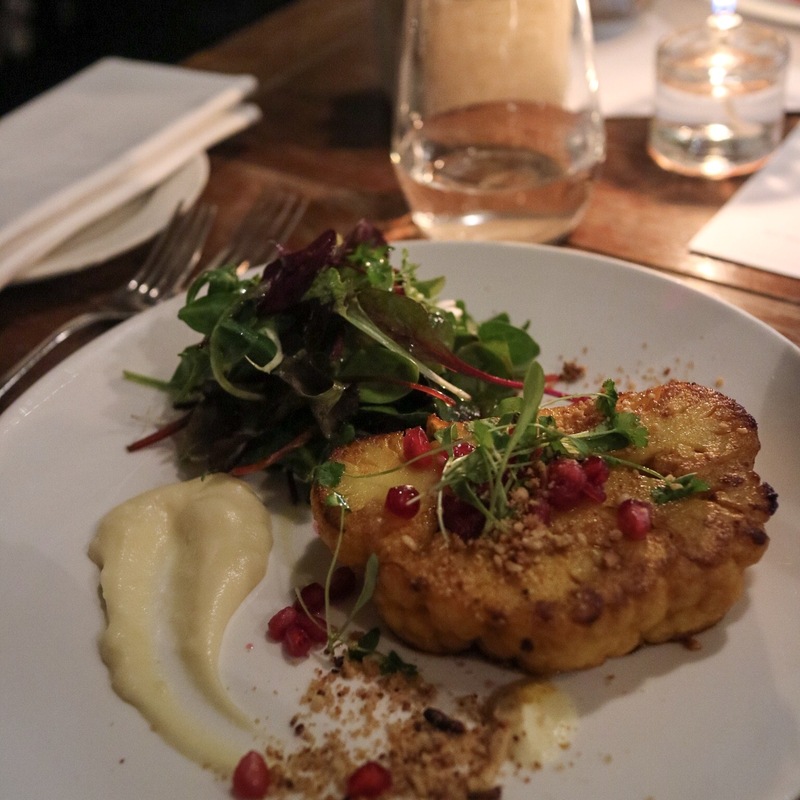 The cauliflower definitely looked impressive on this place! Seasoned with turmeric and topped with pomegranate seeds that give the dish a sweet kick! All in all a great starter, however both Nick and me thought the cauliflower could have done with a little more seasoning – or simply with a thinner cauliflower slice to get the perfect cauli-seasoning combination. 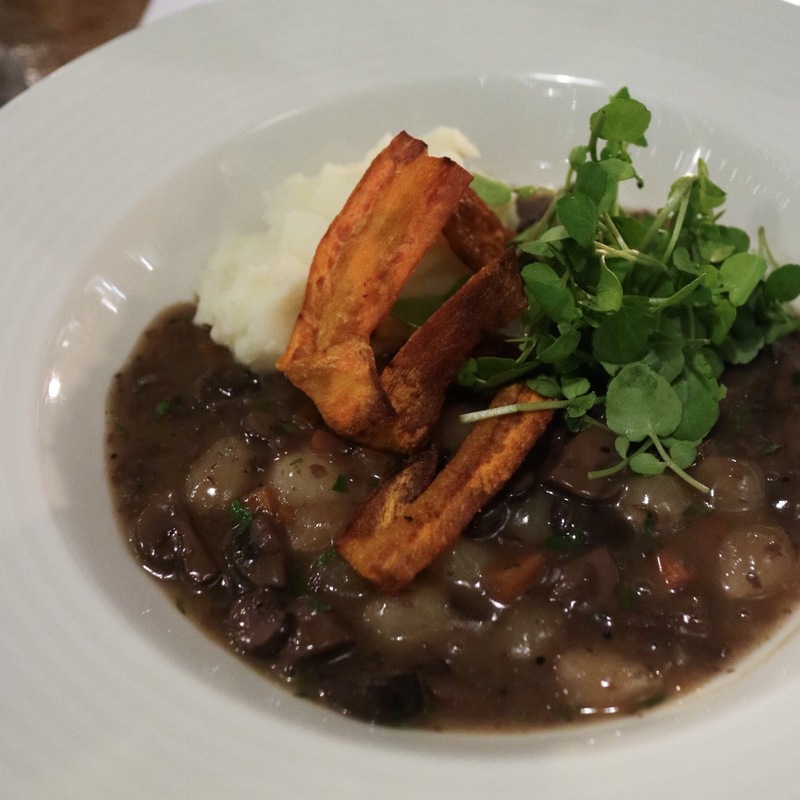 I have to admit I have never had a bourguignon prior to this and pretty much just blindly ordered it as I was curious to fine out (and love mushrooms, so I was sure I couldn’t go wrong!) And the bourguignon (that I now manage to perfectly pronounce btw ;)) definitely did not disappoint: great tasting sauce and absolutely loved the well marinated carrot bacon (which I will lovingly name ‘cacon’ from now on). The only let down was the potato mash for me: In my opinion there could’ve been a bit more of it (though I might just think that cause I grew up in Germany and basically all they eat there is potatoes) and in addition I am certain that the mash was not freshly prepared – hence why the dish lost a few points. With an improved mash I would definitely order it again though! Our absolute highlight of the night! 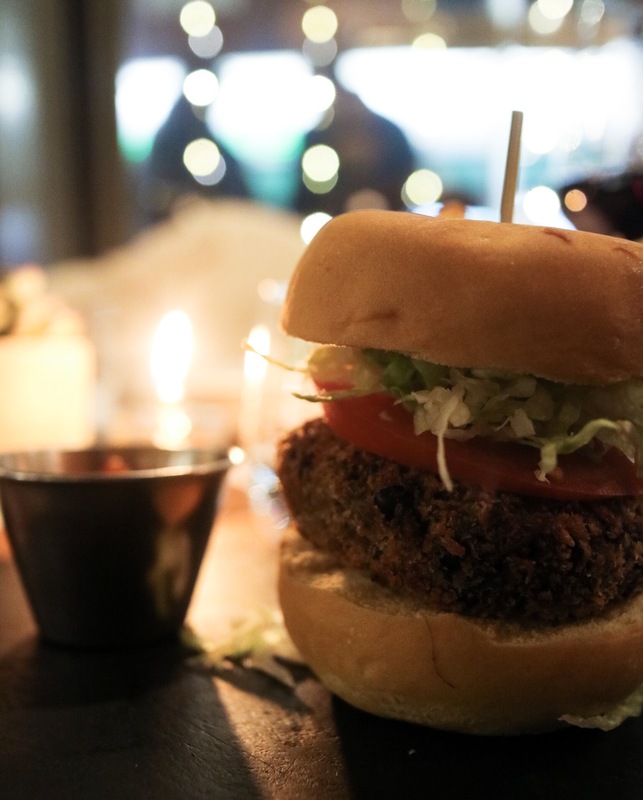 Having gone through multiple bean burgers in multiple restaurants we have to say that this has been our favourite so far – simply because we loved the delicious, crispy patty! Crunchy on the outside and soft in the middle – and no crumbly mess when eating this one. And on top of that it was well seasoned too – as well as the french fries! Oh and not to forget the salsa that came with the burger, which everyone who loves a good spicy kick (like Nick) will love! 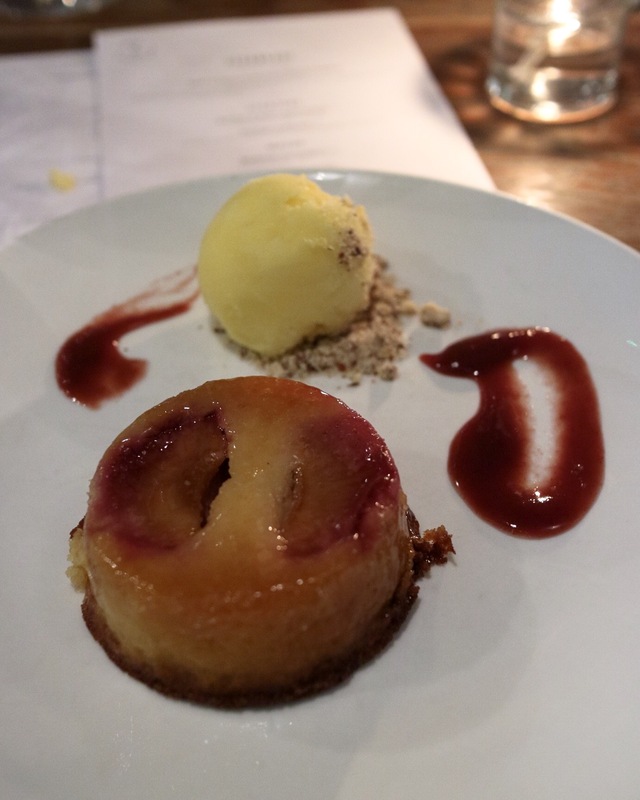 I am not a massive dessert person, but I was definitely wow-ed by my choice with this polenta & poached plum cake! Amazing flavour combination and perfectly well done! Loved the crisp edges of the polenta cake and it had the perfect amount of sweetness – would definitely order this one again! When I read ‘chocolate’ on the menu I already knew that Nick was gonna go with this one! And just look at that more-ish chocolate cream covering this one… Someone who loves dark chocolate would absolutely fall in love with this one! 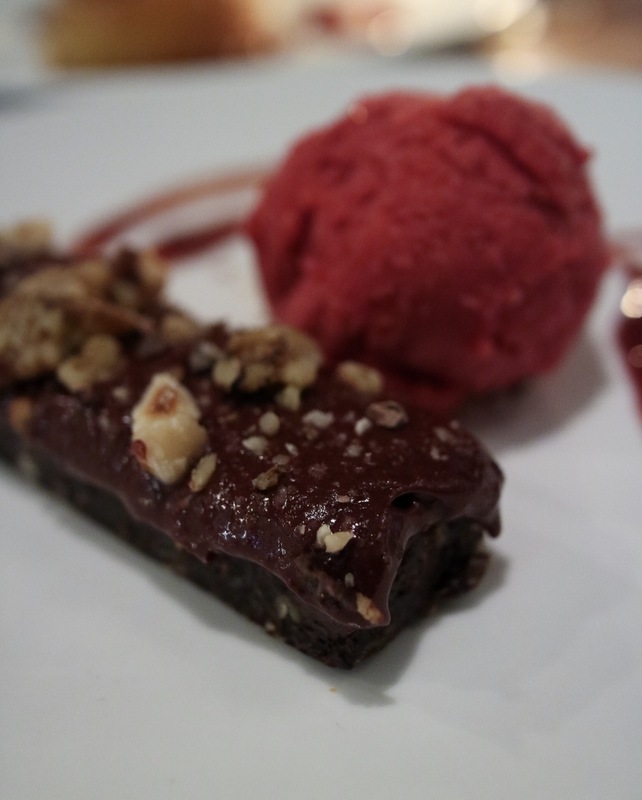 Our 7/10 rating is simply down to personal preference: I’m simply not a big chocolate person, so it was too chocolatey for my own taste and nick isn’t a fan of nuts (which i liked) , so this dessert couldn’t fully win with us, but we’re sure will ‘wow’ a true chocolate lover!